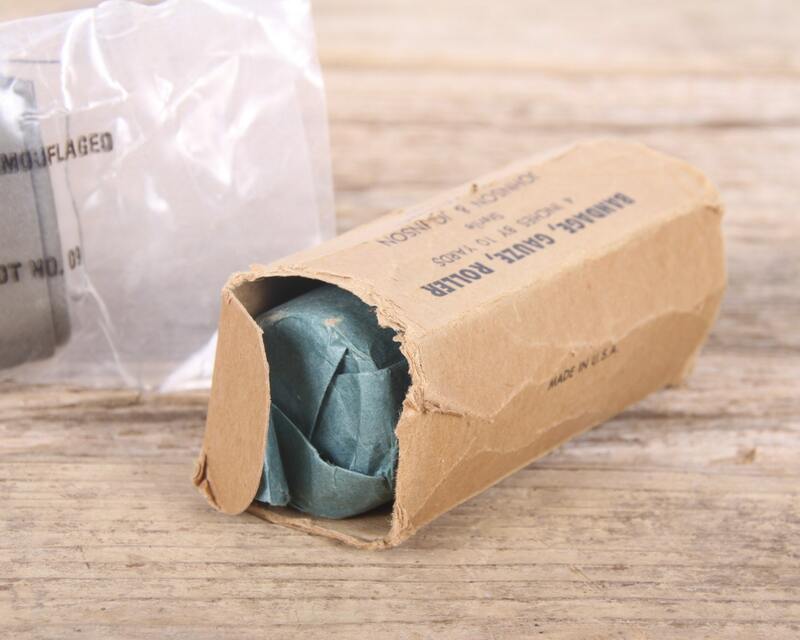 This is a set of vintage Military bandages! 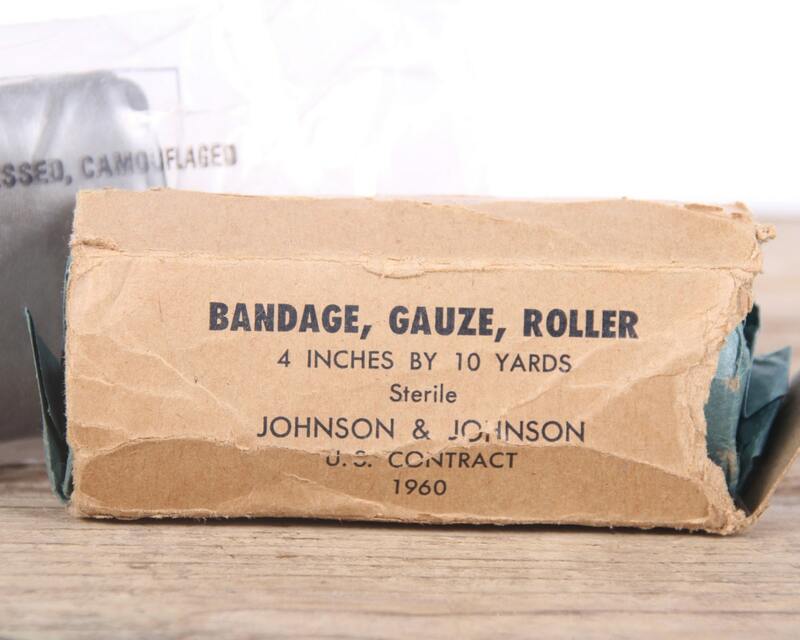 One box dates back to 1960 and was made by Johnson & Johnson (the ends are missing on the box). 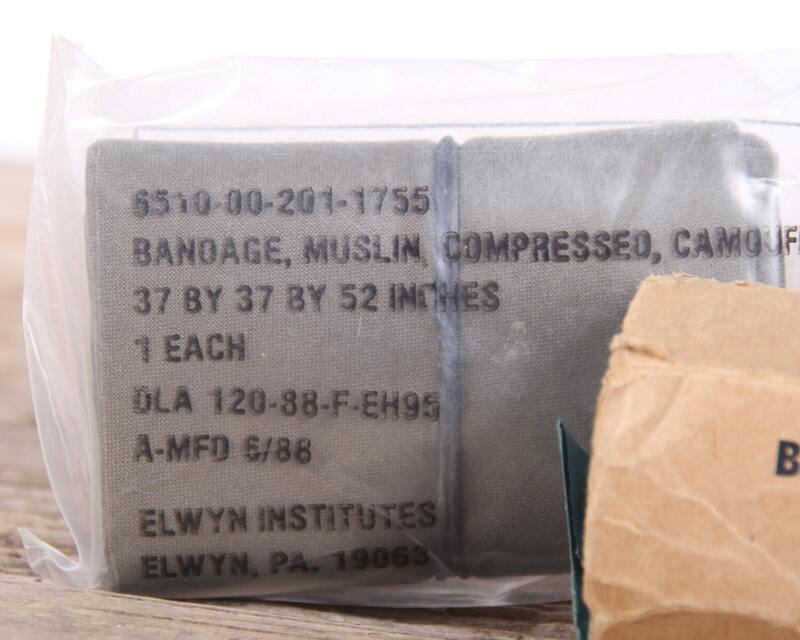 The second box was made by Elwyn Institutes and was made in 1988. 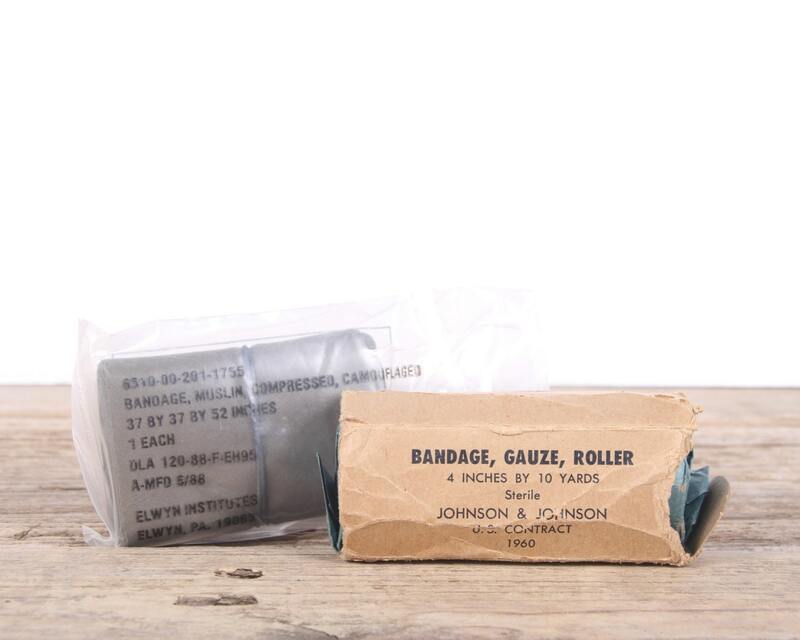 The pieces will be great displayed with your vintage Military or Medical gear. Contact us with any questions!